People of Karnataka are certainly in a shock presently. Wondering why? 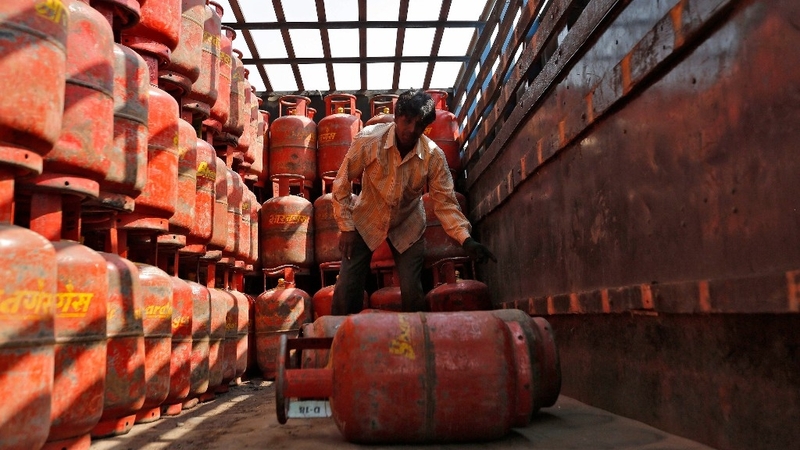 It turns out that the price of LPG is bordering around Rs 1000 on the non-subsidized domestic LPG. In a place called Bidar, each cylinder was sold for Rs 1,015. Muttering WTF under your breath? Certainly, the residents of Karnataka are doing that! Talking about Bidar, the price of a gas cylinder was Rs 721 in April 2018. However, it seems that it has now crossed Rs 1000 in just a few months. Naturally, people had much to say about this LPG price hike. However, netizens were divided over this news. While some supported Yechury, the others were quick to pick out the failures of the other parties. So, let’s start with those comments that were in support of the CPI(M) leader. Who said we will reduce Prices of Basic commodities if we come to power. BJP said we will reduce prices of Fuel,LPG,etc. Also Said increase price of INR. Why did they make False promises? Modi’ mantra is to remove all subsidies. How else would he provide concessions to his corporate friends ? Rob the poor to feed the wealthy. You Can’t Understand What Modi Is Doing with The People Of India. He’s Confiscating Money Out Of Ordinary People and Providing To The Bourgeoisie..
Hello Mr.Yechury.. how are you doing? It’s been a while since we heard from you. Are you still jobless? why don’t you apply for a call center job? I heard few companies are recruiting now. Plz open a bank account sir, subsidy will be transferred to that. Yeah as if oil prices and currency are the same for the last 70 years! Sirjee please…. You cry and @narendramodi ji will do the work.. The sting of the high price is not only felt in Karnataka but in Bihar too. Recently, the domestic non-subsidized price of cylinders in Bihar rose to Rs 1,041. Though we have seen a reduction in the prices of diesel and petrol, the LPG price hike certainly raises many questions. It is expected that the price will see a reduction by December 2018. All we can do is now wait and watch. What are the thoughts on this price rise? Don’t forget to let us know in the comments below. Actress Huma Qureshi Brutally Trolled For Praying At Church! 17 Movie Names With Chill Replacing Dil Because, Man, It Is Chilling Cold!